of air for 40 years. 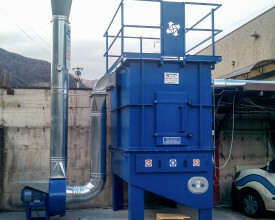 Central suction plant for fields: mechanical working, Metal Foundry, Pressure-die casting, Plastic and rubber, chemical and pharmaceutical, food industry, glass ceramic and inerts, wood, industrial painting, leather tannery. 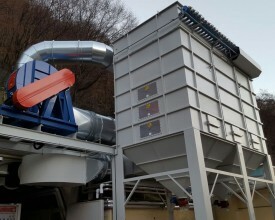 Air Exchange with wall or roof extraction fans. 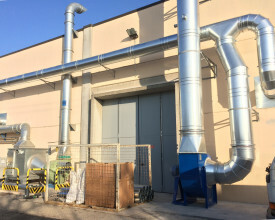 Centrifugal and axial fans, emission chimneys, Heat exchangers for energy recovery and saving. 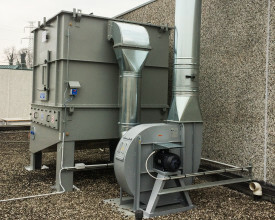 Air cleaning and filtration in respect of local laws. Tratment of dust, smoke, oily mist, SOV, VOC, VOSCs, smell, vapor, spray. 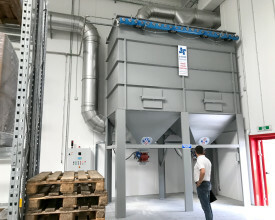 Dust collectors, cartridge collectors, wet scrubbers, cyclone separators, coalescence plants, electrostatic units, paintings boxes, Activated carbon filters. Maintenance also of other builders’plants. 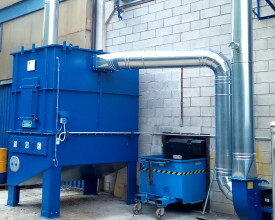 Noise removal interventions with targeted actions of noise reduction for machineries and plants. 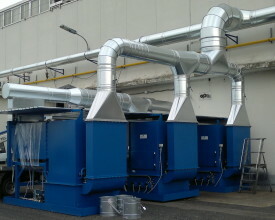 Soundproofing personnel monoblock cabin. Noise impedancing barriers. Absorbing silencers for fan and chimney. 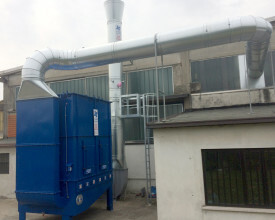 Project sto cancel or reduce noise source polluting influence through customized interventions. Attention and comply with regulatory requirements.